"Wat Pho" or the Temple of The Reclining Buddha is the largest temple in Bangkok and is very famous for it's majestic reclining Buddha. 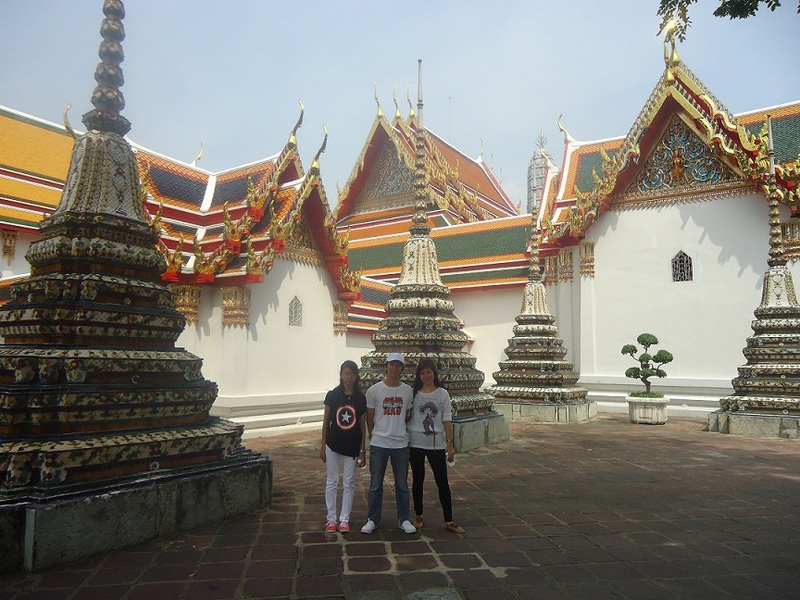 It is located just behind the Temple of the Emerald Buddha. 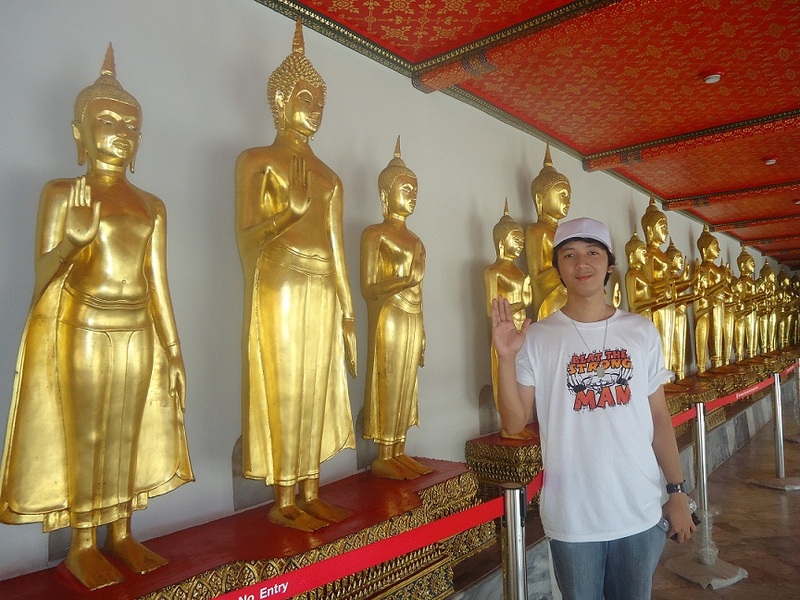 Thailand is known for it's many grand and well maintained temples and your visit to the country will not be complete without paying a visit to one of these temples. 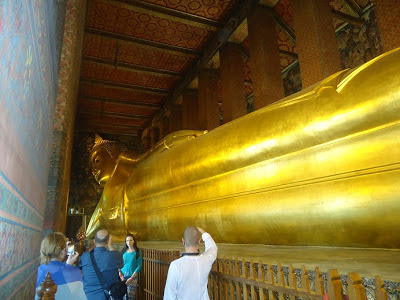 For this trip, we have chosen to spend half day at Wat Pho or the Temple of the Reclining Buddha. We left the hotel past 9 AM. I was lucky to have contacted a taxi just after 5 minutes of waiting in front of the hotel. 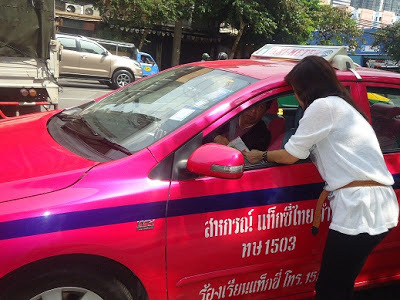 One tip that I would share with you when you are in Bangkok is to check with the taxi driver first if he is using the meter before you board the taxi. Some of the taxi drivers are taking advantage of foreigners and don't want to use the meter. However, you always have an alternative transportation just in case, as there are also plenty of "tuk-tuks" around the city and there is a BTS monorail transit which is a way cheaper. We reached our destination in a matter of 15 mins and I was surprised to see how many tourist buses were there around the area. The taxi driver told me that it is a normal thing there and that the buses come in the same number everyday. Really surprising! 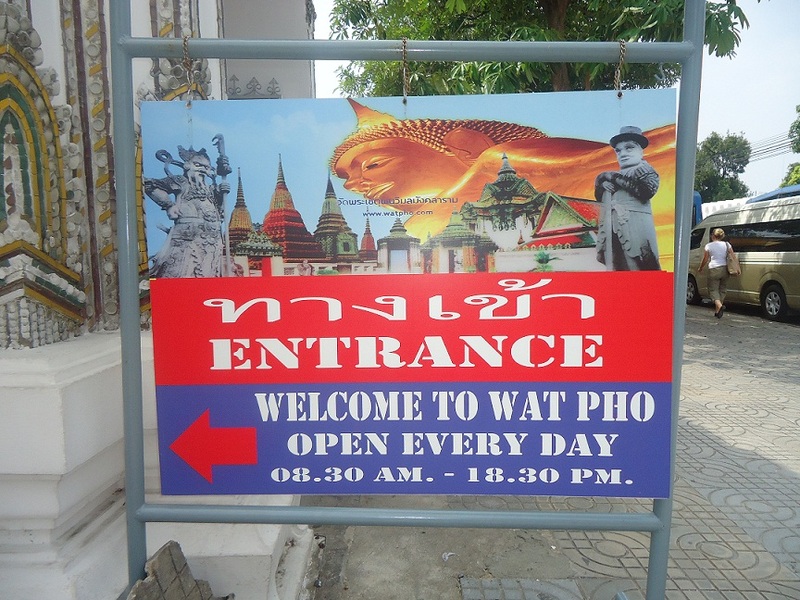 Entrance Fee to Wat Pho is THB100 per person or about $3.50. This includes the whole day pass and a bottle of cold mineral water (lol). Maybe because they are anticipating that it's really tiring to roam around that very huge area. 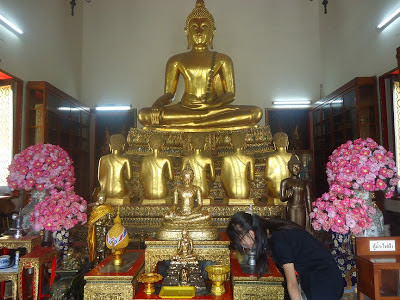 It's really big inside and there are a number of temples to visit. 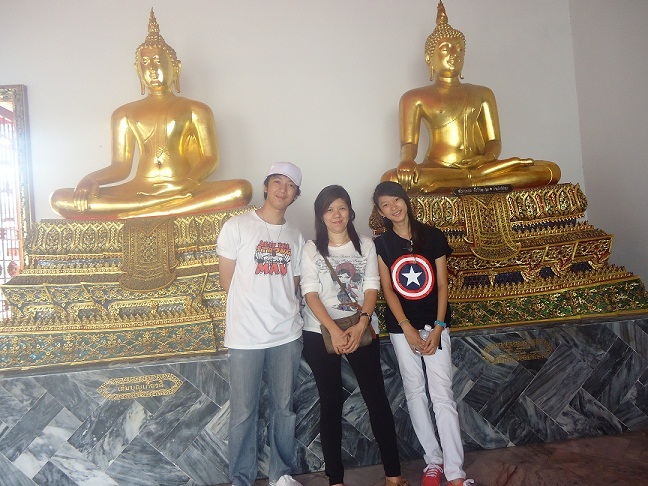 Our first stop was at the temple of the reclining Buddha. 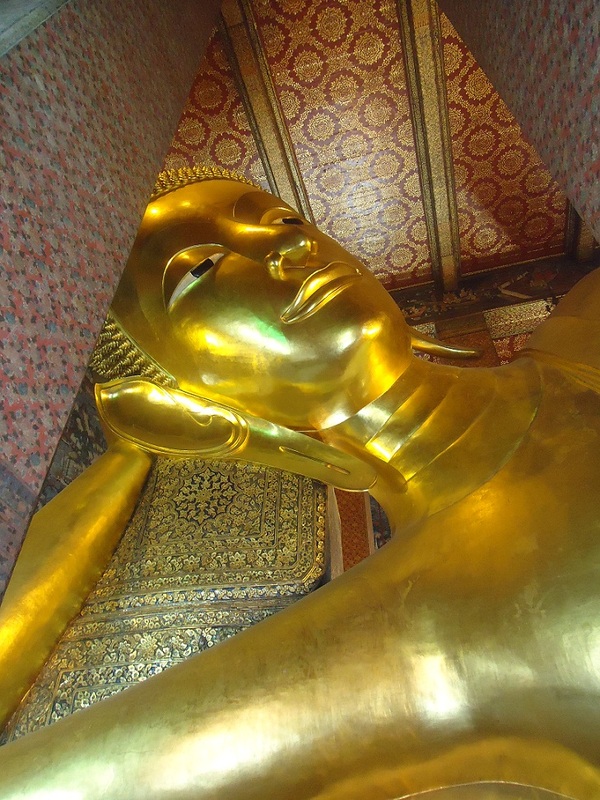 We were mesmerized by the grand reclining Buddha statue in hues of gold. A excellent work of art! For the Thai people, this is a very sacred temple and visitors are expected to show respect for their belief and tradition while at the temple. We were asked to remove our shoes and they gave us a blue cloth bag to put our shoes in place while roaming inside. Those foreigners who were in sleeveless and shorts were given robes to wear while inside the temple. It's fortunate though that they allowed visitors to take photos and videos. 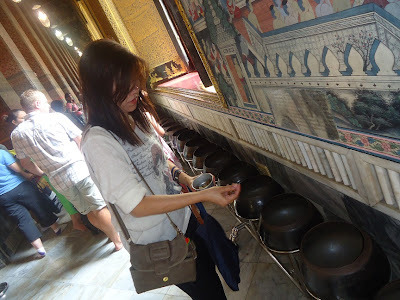 I took part in doing one of the traditions of the "Thais" while inside the temple, and that is to drop 1 pc of coin in every bowl along that long line leading to the exit. I bought THB20 worth of small coins in a small bowl and I was offered a prayer by a temple worker as he handed to me the bowl of coins. 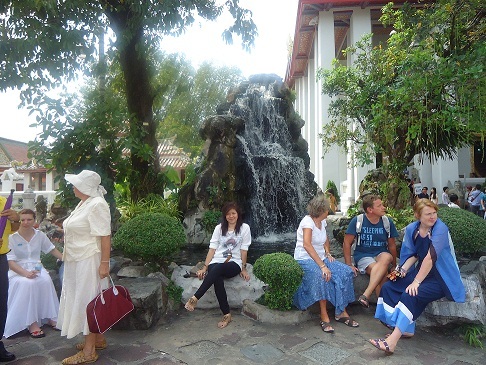 As we went out of the temple of the Reclining Buddha, we took some fresh air while posing for pics at the compound where gardens and water features are located. You would notice from the pics. that there were so many Europeans visiting Bangkok. There are so many golden statues around. The architecture of the temples are really awesome! You will not feel tired to look around as everything that you see is a master piece. Wonderful works of art! A visit to "Wat Pho" has been a very beautiful experience for all of us. 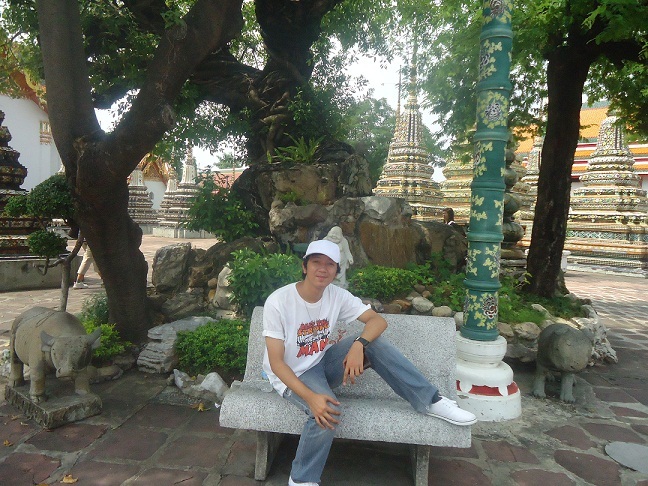 This cultural master piece had just shown how rich Thailand is when it comes to their history and tradition. 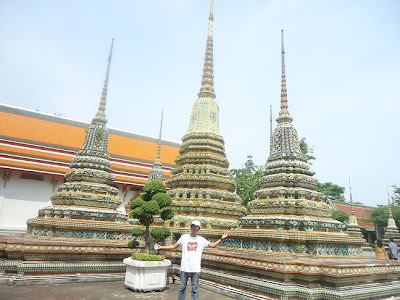 All the places I visited at Bangkok had only proved that Thailand's cultural heritage is still intact and this makes the country a favorite destination for travelers. 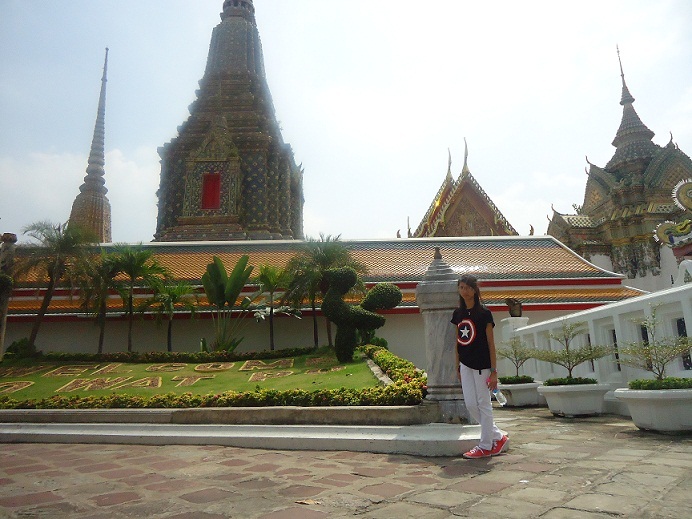 Wat Pho is located at 2 Sanam Chai Road Bangkok, Thailand. Hope to see you at Let's Get Social Sunday Party tomorrow!! the temples look spectacular! I would love to bring my kids here too! Bangkok city is the most wonderful place for exploring tourist attractions. 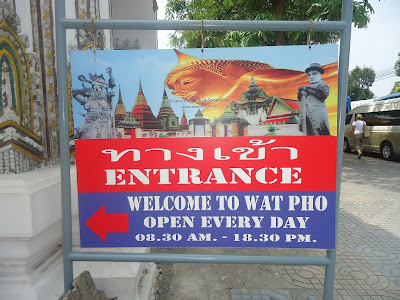 Bangkok Tourism is always booming. The beaches, the delicious food, the amazing shows, the temples, the palaces, the amazing modes of transport and the amazing mixture of culture and fun of floating markets in Bangkok city are sure to make Bangkok holidays memorable for just about anyone. Hope you will get good information from the site stated here.